Hlavná > prof. PhDr. Nataliya Panasenko, DrSc. Stylistics, lexicology, cognitive linguistics, text linguistics, literary time, translation studies, intercultural studies, Iris Murdoch and Ray Bradbury, folklore (fairy tales, songs), psycholinguistics (emotiology), gender studies, English teaching. ABB 001 Figuring the male and female: fire and water in Bradbury´s (science) fiction / Davydyuk, Yuliya - Panasenko, Nataliya Ivanovna, 2016. - Popis urobený: 16. 1. 2017. In: LEGE ARTIS : Language yesterday, today, tomorrow. - ISSN 2453-8035, Vol. 1, no. 1 (2016), pp. 4-74 [3,95 AH] [online]. ADE 001 Semantic roles in poisonous medicinal plant names / Panasenko, Nataliya Ivanovna, 2015. In: The Way of Science : international scientific journal. - ISSN 2311-2158, No. 5 (15), 2015, s. 77-80. ADE 002 Frejmovyj analiz amerikanskich šutočnych pesen / Panasenko, Nataliya Ivanovna - Dmitriev, Ja.F., 2016. In: Science and Education a New Dimension : Philology. - ISSN 2308-5258, Vol. 4(19), iss. 84 (2016), pp. 35-40. ADE 003 Topic 'wedding' in British and Slovak journalism of emotional type / Panasenko, Nataliya Ivanovna - Grochalová, Paula - Grochalová, Linda, 2018. In: European Journal of Science and Theology. - ISSN 1841-0464, Vol. 14, no. 3 (2018), pp. 63-75. ADM 001 ´War´ as a piece of hard news in British and Slovak media / Panasenko, Nataliya Ivanovna - Grochalová, Paula - Grochalová, Linda, 2017. In: European Journal of Science and Theology. - ISSN 1841-0464, Vol. 13, no. 6 (2017), pp. 87-100. ADN 001 Where, why, and how? Topophones in Ray Bradbury´s science fiction / Panasenko, Nataliya Ivanovna, 2018. - Popis urobený: 17. 7. 2018. In: Lege Artis : Language yesterday, today, tomorrow. - ISSN 2453-8035, Roč. 3, č. 1 (2018), s. 223-273 [online]. 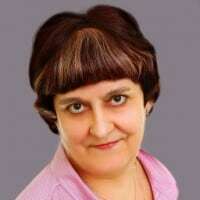 AEC 001 Imena sobstvennye v nazvanijach lekarstvennych rastenij / Panasenko, Nataliya Ivanovna : (onomasiologičeskij podchod), 2014. In: Filologičeskie issledovanija. Vypusk 11 : Filologija i medicina / otv. red. V.V. Fedorov ; recenzenty: V.A. Gluščenko, A.A. Udod. - Kiev : Izdateľskij dom Dmitrija Burago, 2014. - ISSN 1812-5743, S. 218-236. AEC 002 Metaphoric and metonymic designation of poisonous medicinal plants / Panasenko, Nataliya Ivanovna, 2016. In: Text - Sentence - Word : Studies in English Linguistics. Vol. II / Agnieszka Uberman, Teodor Hrehovčík (eds.) ; recenzowała Magdaléna Bilá. - Rzeszów : Wydawnictwo Uniwersytetu Rzeszowskiego, 2016. - ISBN 978-83-7996-313-3, S. 64-74. AEC 003 National images of the world in poetic translation (based on Russian, Mongolian, Hindi, and Bengali) / Panasenko, Nataliya Ivanovna, 2017. In: Metodologičeskie osnovy issledovanija kognicii i kommunikacii v sovremennoj lingvistike : sbornik naučnych trudov v česť doktora filologičeskich nauk, professora Larisy Aleksandrovny Manerko / pod red. V.A. Borodickoj, A.A. Šarapkovoj ; recenzenty: V.Z. Demjankov, T.A. Klepikova. - Moskva : MAKS Press, 2017. - ISBN 978-5-317-05634-6, S. 158-165. AFA 001 Types of Plot Development in Sudden Fiction / Panasenko, Nataliya Ivanovna, 2017. In: Magija INNO: novye izmerenija v lingvistike i lingvodidaktike : sbornik naučnych trudov : v dvuch tomach. Tom 1 / otv. red. D.N. Novikov ; recenzenty: N.N. Gavrilenko, E.B. Jastrebova. - Moskva : MGIMO-Universitet, 2017. - ISBN 978-5-9228-1768-4, S. 107-114. AFC 001 Creative Approach to Teaching English as a Foreign Language / Panasenko, Nataliya Ivanovna - Magál, Slavomír - Mazáková, Sláva, 2015. - Príspevok je indexovaný v databáze Web of Science. AFC 002 Olfactory information processing channel in medicinal plants´ names (based on Germanic and western Slavic languages / Panasenko, Nataliya Ivanovna, 2015. - Popis urobený: 8. 1. 2016. In: International Scientific and Practical Conference "WORLD SCIENCE" : Procedings of the IInd International Scientific and Practical Conference "Science and Education - Our Future (November 22-23, 2015, Ajman, UAE). - ISSN 2413-1032, Vol. 3, no. 4(4) (2015), pp. 34-42 [online]. AFC 003 Predicates in medicinal plants´ names / Panasenko, Nataliya Ivanovna, 2016. - Popis urobený: 19. 2. 2016. In: International Scientific and Practical Conference "WORLD SCIENCE" : Procedings of the IInd International Scientific and Practical Conference "The goals of the WorldScience 2016 (January 27 - 28, 2016, Dubai, UAE). - ISSN 2413-1032, Vol. 4, no. 2(6) (2016), pp. 32-36 [online]. AFD 001 Functional-semantic types of speech in journalistic messages / Panasenko, Nataliya Ivanovna, 2016. - Príspevok je indexovaný v databáze Web of Science. 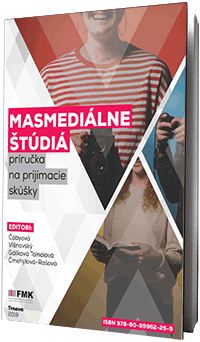 In: Megatrends and Media : Critique in Media, Critique of Media : Conference Proceedings from International Scientific Conference 19th - 20th April 2016 Congress Hall of the Slovak Academy of Science Smolenice, Slovak Republic / editors: Dana Petranová, Slavomír Magál. - 1. vyd. - Trnava : Faculty of Mass Media Communication, University of SS. Cyril and Methodius in Trnava, 2016. - ISBN 978-80-8105-796-0. - ISSN 2453-6474, S. 52-67. BEE 001 Global text categories in poetic images of the world (based on Ukrainian, Mongolian, and Vietnamese) / Panasenko, Nataliya Ivanovna, 2015. In: Zdobutki ta perspektivi rozvitku sučasnogo movoznavstva : mižnarodnij zbirnik naukovich prac, prisvjačenij 70-ričnomu jubileju profesora Alli Andriivni Kaliti / golovnij redaktor I.S. Poljuk. - Kiev : Vidavateľstvo «Politechnika», 2015. - ISBN 978-966-622-727-3, S. 99-108. BEE 002 Literary Text in the Language Classroom / Panasenko, Nataliya Ivanovna, 2015. In: Magija INNO: novoe v issledovanii jazyka i metodike ego prepodavanija : materialy Vtoroj naučno-praktičeskoj konferencii : (Moskva, 24-25 aprelja 2015 g.). Tom 2 : Sekcija 5-8 / otvetstvennyj redaktor D.A. Krjačkov. - Moskva : Izdateľstvo MGIMO-Universitet, 2015. - ISBN 978-5-9228-1398-3, S. 179-186. BEE 003 Metaphoric designation of poisonous medicinal plants in Romance, Germanic and Slavic languages / Panasenko, Nataliya Ivanovna, 2015. In: Literature, language and culture influenced by globalization : monograph. Volume 6 / ed. by L. Schlossman. - Vienna : "East West" Association for Advanced Studies and Higher Education, 2015. - ISBN 978-3-903063-30-3, S. 44-55. BEE 004 Fitonimičeskij leksikon v zerkale kuľturologii / Panasenko, Nataliya Ivanovna - Petranová, Dana - Magál, Slavomír = Phytonymic lexicon in the cultural reflection, 2018. In: Etnos i lingvokuľtura : sbornik statej. Vypusk 15 / pod redakciej M.V. Pimenovoj. - Sankt-Peterburg : Izdateľstvo SPbGEU, 2018. - (Serija "Konceptuaľnyj i lingvaľnyj miry"). - ISBN 978-5-7310-4238-3, S. 26-36. GHG 001 Olfactory processing channel in phytonimic lexicon (based on Western Slavic languages) / Panasenko, Nataliya Ivanovna - Pravdová, Hana [elektronický zdroj], 2015. - 1 s. - Online dokument. - Popis urobený: Popis urobený 19. 8. 2015. GII 001 Cognitive interpretation of some onomasiological bases / Panasenko, Nataliya Ivanovna, 2017. In: International Cognitive Linguistics Conference : Linguistic Diversity and Cognitive Linguistics : Book of Abstracts. - [S.l.] : [s.n. ], 2017, S. 418. GII 002 I korabľ plyvet / Panasenko, Nataliya Ivanovna, 2017. In: Oleksandr Dmitrovič Oguj: Svitlom buv i do svitla polinuv! : monografija (z biobibliografiju) / uporjadnik O.Ja. Ivasjuk. - Černivci : Černiveckij nacionaľnij universitet, 2017. - ISBN 978-966-423-396-2, s. 360-362. Questions of theoretical and applied linguistics. Belgorod, Belgorod State University, Russia (a member of the editorial board since 2012) (in Russian - Вопросы теоретической и прикладной лингвистики). Linguistic newsletter. Horlivka-Slaviansk, Donbass Pedagogical University, Ukraine (a member of the editorial board since 2012) (in Ukrainian - Лінгвістичний вісник). US - China Foreign Language. USA, El Monte. David Publishing Company (a reviewer since 2012) ISSN 1539-8080 (in hard copy), ISSN 1935-9667 (online). Communication Today (Trnava, Slovakia) (a member of the editorial board since 2013) ISSN 1338-130X. Cognitive Linguistic аnd Cultural Studies. A series of research monographs. Donetsk National University, Ukraine (a member of the editorial board since 2013). (in Ukrainian – Лінгвокогнітивні та лінгвокультурологічні дослідження). ICLA (since 2010) International Cognitive Linguistics Association; SCLA (since 2010) Slavic Cognitive Linguistics Association (University of Chicago, USA); CEELBAS (since 2010) Centre for East European Language Based Area Studies (University of Sheffield, UK); SkASE (since 2010) Slovak Association for the Study of English (University of Kosice, Slovakia).